Taiwanese manufacturer Foxconn says it has finally agreed a deal to take over struggling Japanese electronics company Sharp. 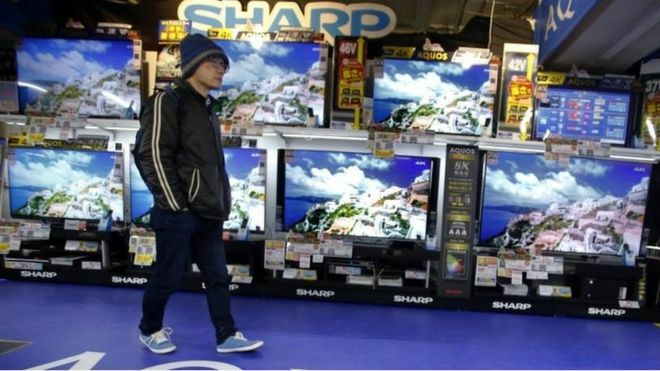 Foxconn said the deal was worth 389bn yen ($3.5bn; £2.4bn) and would give it a 66% stake in Sharp. Foxconn, which assembles most of the world’s iPhones, first offered to invest in the troubled Japanese firm in 2012, but talks collapsed. 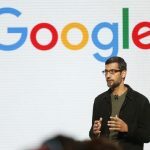 The two firms said the deal would be signed on 2 April. It would be the first foreign takeover of a major Japanese electronics firm. Describing themselves as “world-class technology industry leaders”, Foxconn and Sharp said they would form “a historic strategic alliance”. Founded in 1912, Sharp is one of Japan’s oldest technology firms. Japanese officials had been reluctant to let it fall under foreign ownership because of the distinctive technology behind its display panels. Before the announcement of a deal with Foxconn, Sharp had been discussing a rival offer from a government-backed consortium of Japanese investors. Although recent years have seen a downturn in its fortunes, the firm continued to be a leader in liquid display technology, a key asset for Foxconn. In 2012, Sharp came close to entering bankruptcy. It has struggled with heavy debts and has been through two major bailouts in the last four years. Sharp’s innovations include a mechanical pencil in 1915 and pioneering developments in television engineering. Did Apple Just End The ‘Golden Age’ Of Government iPhone Hacking?